Former Leicester City owner and chairman Milan Mandaric will face trial accused of tax evasion. Along with Tottenham Hotspur manager Harry Redknapp - manager at Portsmouth under Mandaric's ownership of the South coast club - the Serbo-American business tycoon faces two charges of cheating the public revenue. The case relates to two payments of £183,000 that were allegedly made by Mandaric to Redknapp's Monte Carlo bank account during their spell in charge at Pompey. 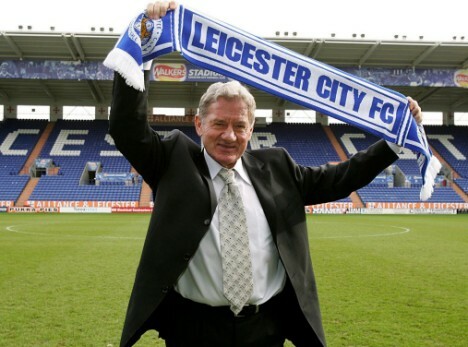 Mandaric, 73, took over at Leicester after buying-out a consortium including club legends Gary Lineker and Emile Heskey in January 2007 for £25 million. Under his tenure, the Foxes went through a total of seven managers and the club was relegated to the third tier for the first time in their 125-year history. A successful promotion campaign under Nigel Pearson - expected to be reappointed as manager next week - saw the club fighting in the Championship play-offs in 2010, only to be knocked-out by Cardiff City on penalties. Mandaric sold the club to Thai investors Vichai and Aiyawatt Raksriaksorn last year for a reported sum of £40 million.